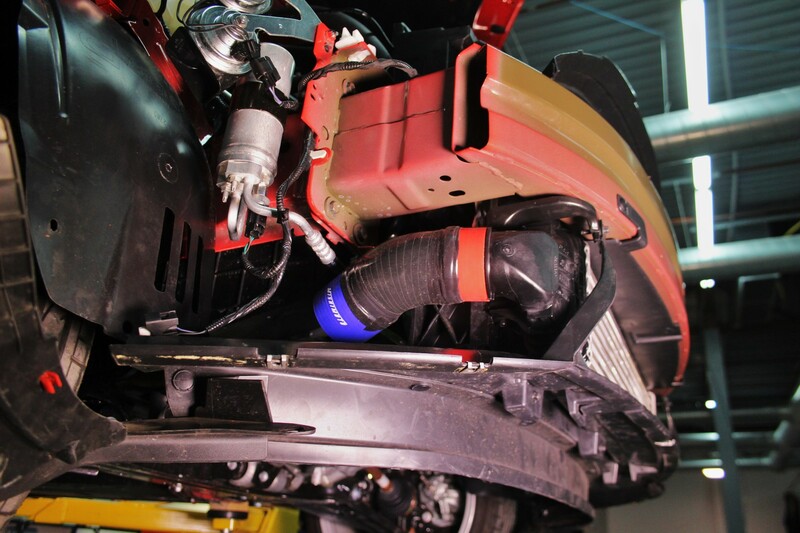 We have plans for an absolutely awesome intercooler for the Fiesta ST, so it only makes sense to pair it with an equally robust intercooler pipe setup. 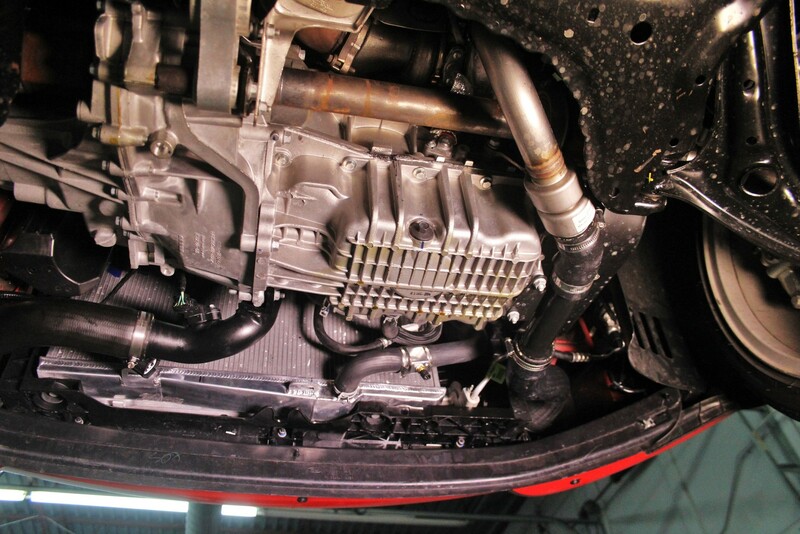 The stock piping is adequate at best but certainly deserves some attention, because we need to obtain as much airflow as possible from the Fiesta ST. 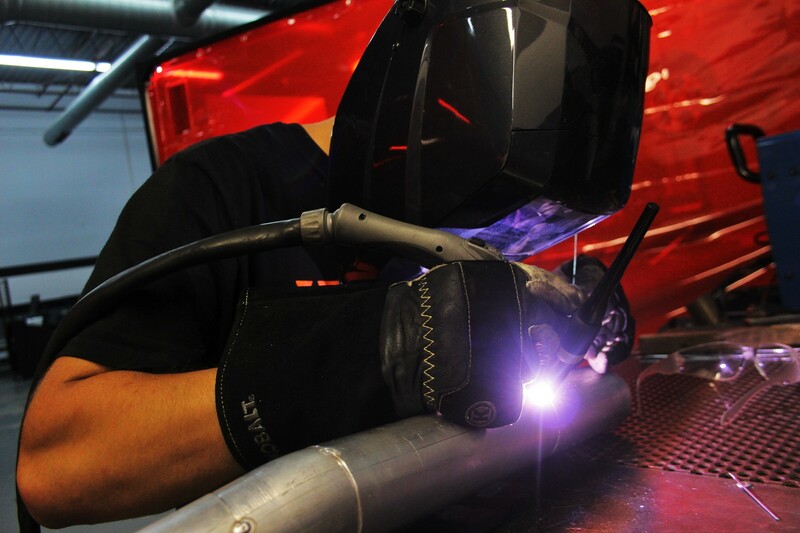 This first portion of R&D will cover the fabrication of our hot-side pipe. 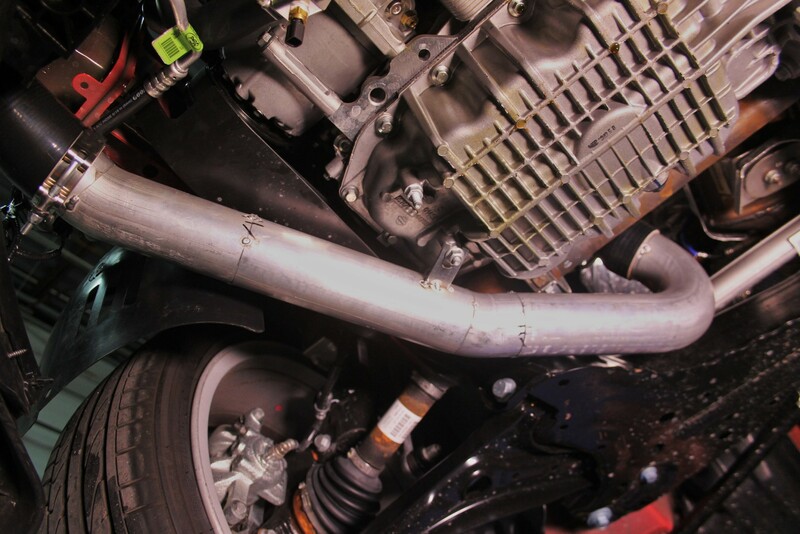 Before jumping into fabrication, let’s first check out the stock hot-side piping assembly! What an interesting piece! The coupler on the end of the pipe mates with the turbocharger compressor outlet, which then runs into metal piping 1.5” in diameter. Air passes through the strange looking chamber that functions as a resonator. Another coupler attaches the pipe to a metal tube 1.75” in diameter, and includes a mounting bracket that attaches it to oil pan studs. 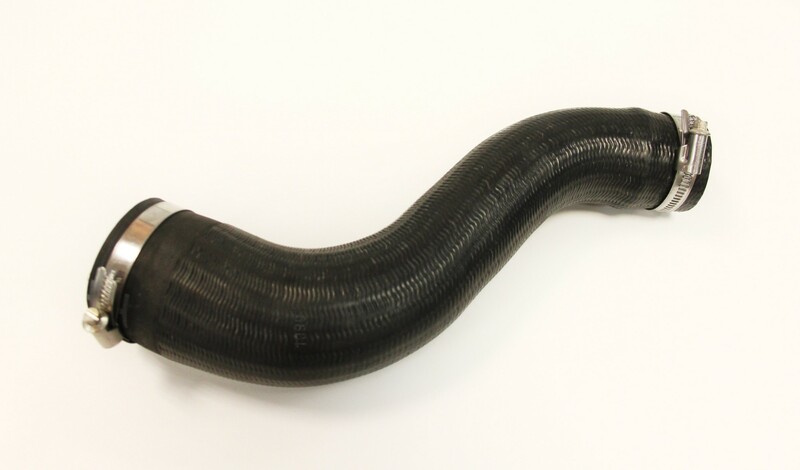 Once past the metal hose, a rubber coupler finishes the route to the hot side of the intercooler. This hose steps up from 2” at the pipe connection to 2.5” at the intercooler side. 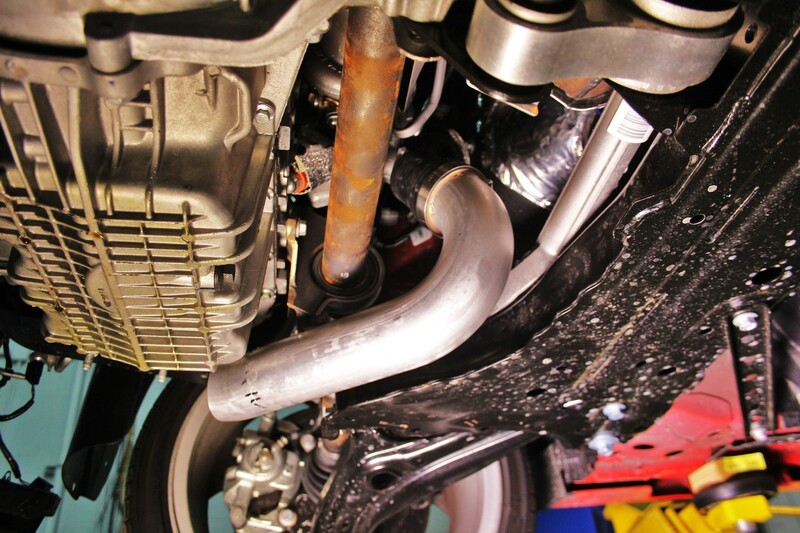 Check out a couple shots of this pipe installed on the Fiesta! This pipe has six individual connection points. We can certainly improve on this design. Five individual pieces make up this assembly; our plan is to design a one-piece pipe with two coupler connections. 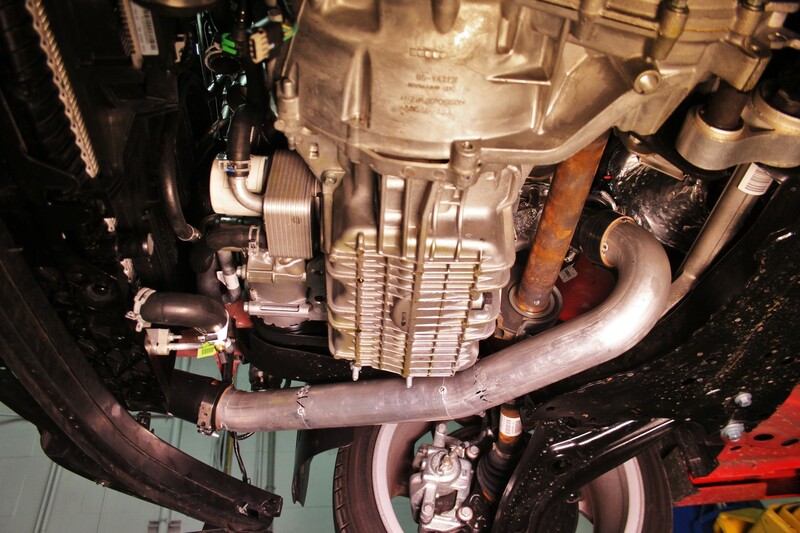 In addition, we will be increasing the pipe diameter for improved airflow. Simplicity, effectiveness, and a nice improvement in airflow are what we are going for with the hot-side pipe. 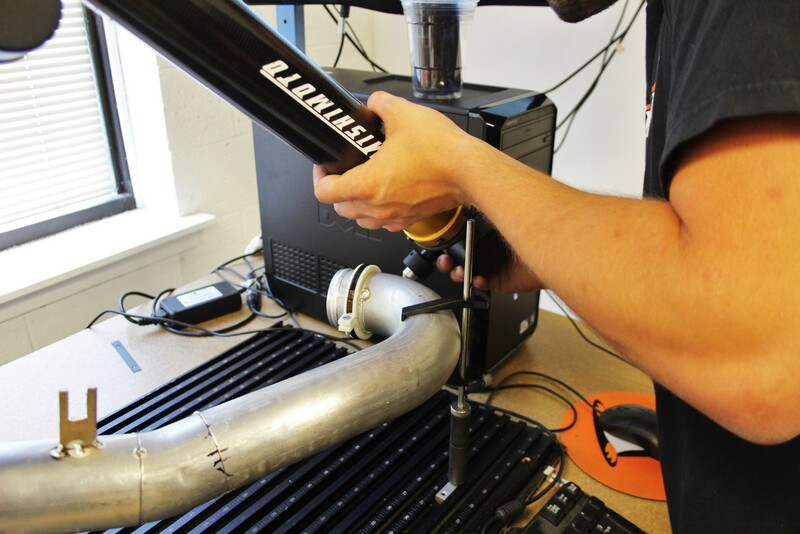 We’re starting our design at the turbo and working our way toward the intercooler. 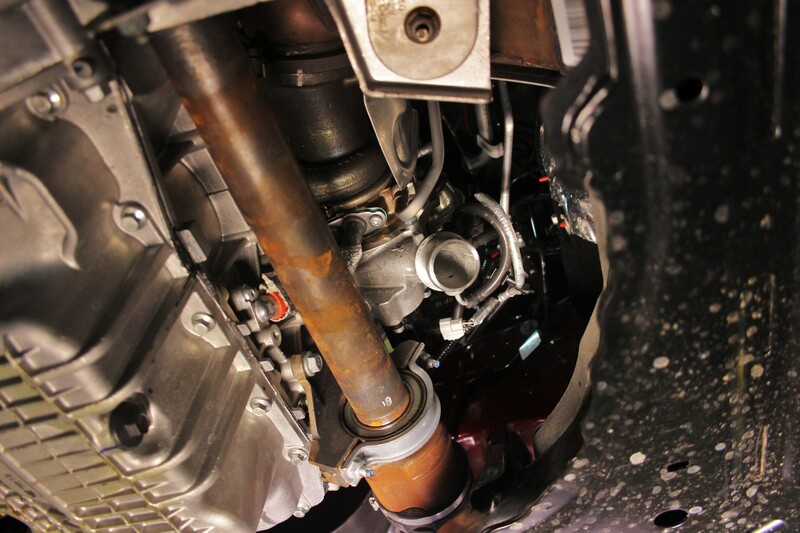 Below is a look at the compressor outlet with the stock piping out of the way. The route begins! We started with a coupler that attaches the 1.6” turbocharger outlet to the 2.5” intercooler piping we intend to use throughout. We then cut and tacked a few pieces of additional piping to follow the path of the stock assembly. We mocked up our proposed coupler shape and size to mate with the rest of our piping. 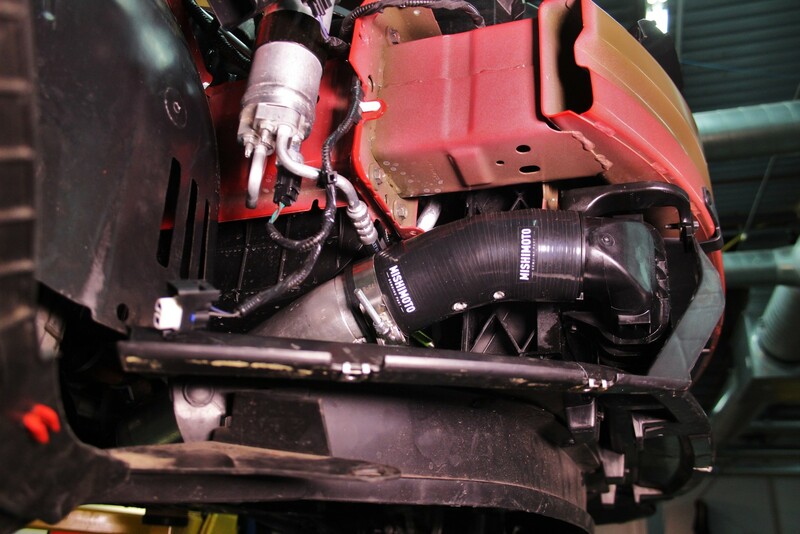 We then continued to add piping to our prototype, working forward toward our intercooler boot. Soon we had our prototype mocked-up and in position! You’ll notice we have a different coupler on our intercooler connection; this should be more representative of the coupler we will include in the final product. To provide additional support, we need a mounting bracket similar in design to the stock bracket. We will be tying into one of the oil pan studs with a simple flat bracket. Here’s a look at our final prototype pipe! A beadroll at each pipe end completes our fabrication portion of R&D for the hot side. 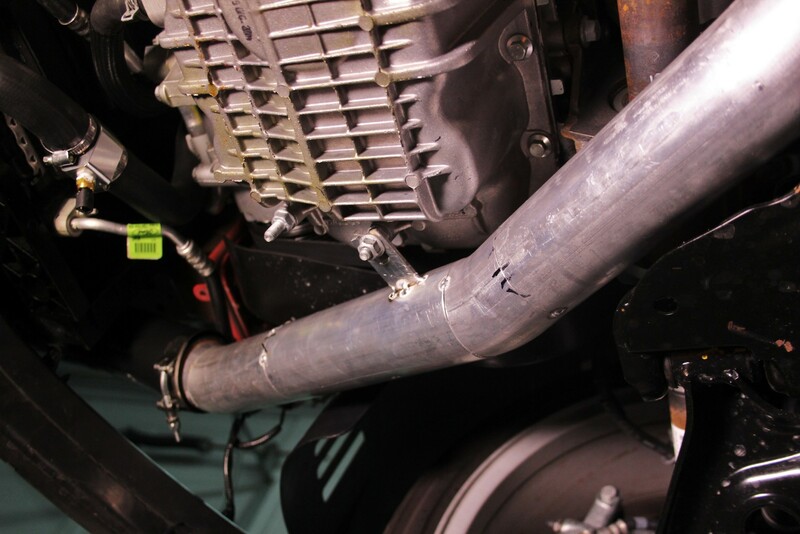 This pipe is being designed to function with a 2.5” intercooler connection, which means it will bolt right on to the stock intercooler as well as our upcoming direct-fit intercooler. 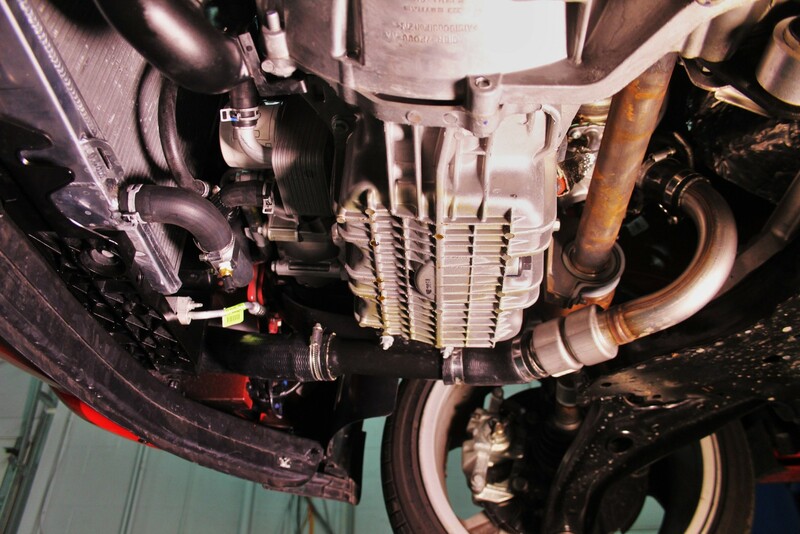 Check out the development of our intercooler here: https://www.mishimoto.com/engineering/category/by-make/ford/fiesta-st/ford-fiesta-st-intake-2014/. Before completely shutting the door and throwing the lock on this project, we need to create a 3D model of our final design, which will help with manufacturing accuracy and quality control. 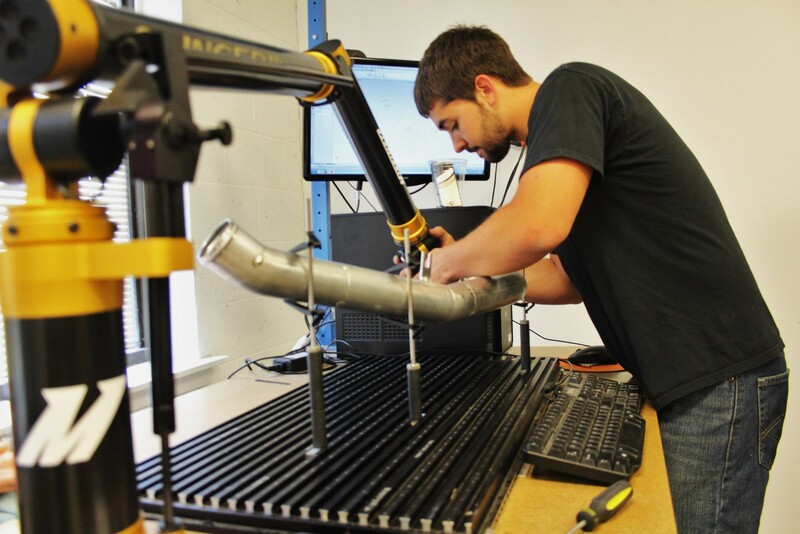 We are using our CMM (coordinate measuring machine) table to grab dimensions from our prototype pipe. This allows us to capture all the geometry needed for our model. Our hot-side development is complete, which puts us halfway through finishing our kit. Check back next time for a look at the process we followed to construct our cold-side prototype.